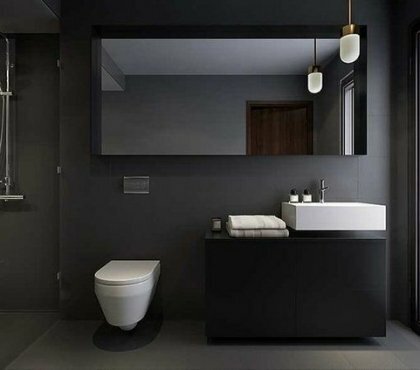 Small bathroom designs can be a challenge but no matter how hard it seems to create a modern interior, this is not an impossible task. With some careful planning of the layout, creative use of the available space and the right choice of furniture and equipment, even the tiniest space can be comfortable and functional. 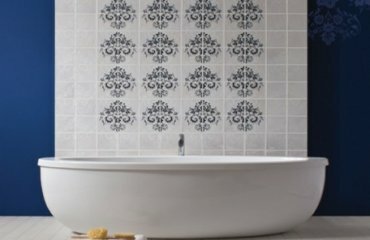 We selected some examples and will give you some useful and practical tips which will help you to have a modern and stylish interior. 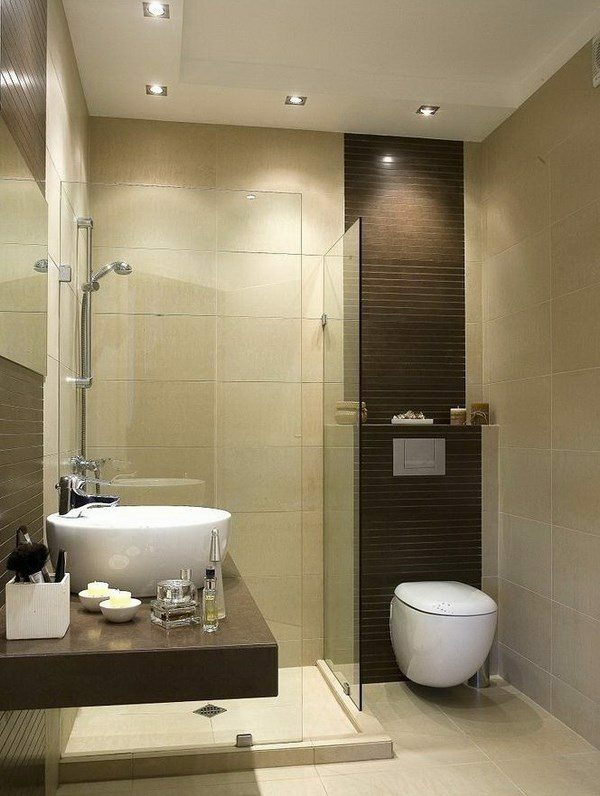 Many people look at the beautiful designs of bathrooms and think “I wish I had such a spacious and stylish bathroom”. Well, the good news is that they, actually, can have an elegant interior, functional and as visually pleasing as any large and luxurious design that makes them sigh. It all begins with choosing the style. 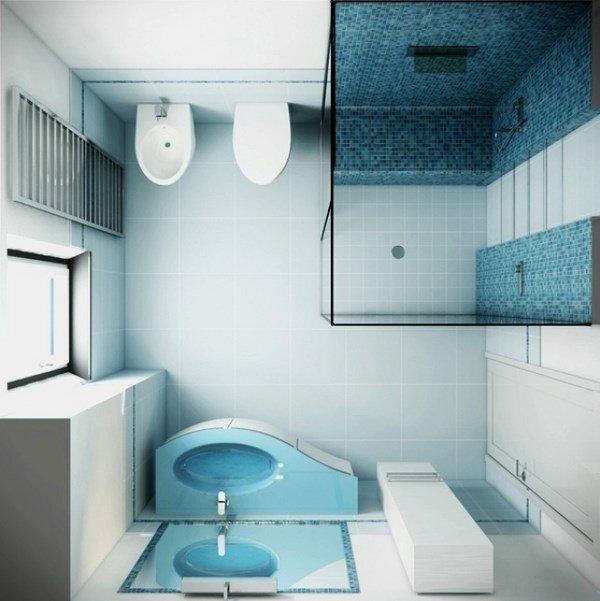 Small bathroom designs offer numerous opportunities. Are you a fan of minimalism? Or you are attracted to a more rustic appearance? How about Industrial decor or a nautical theme? 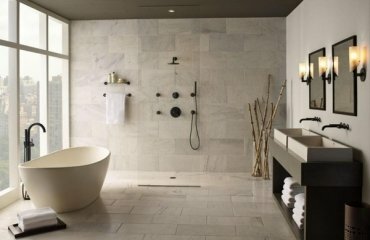 The style you choose will determine the color scheme, the furniture and equipment, the finishing materials, so it is an important thing to decide. The proper layout will help you with the placement of equipment and furniture. It is a good idea to draw a sketch and try different combinations for the layout of the furniture. This will also give you an idea if you will need to move plumbing, electricity outlets, etc. 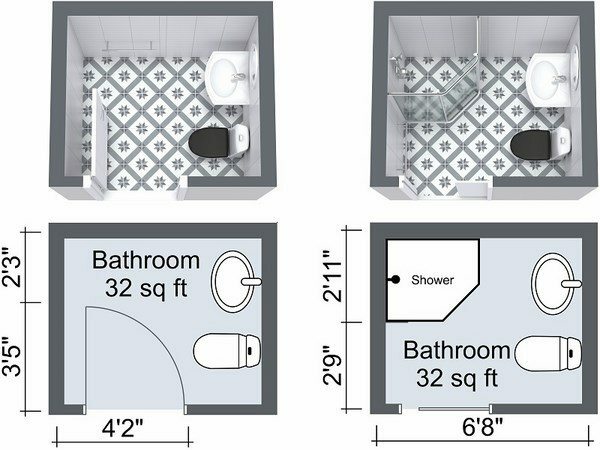 A sketch will help you find the right place and use the available space optimally. 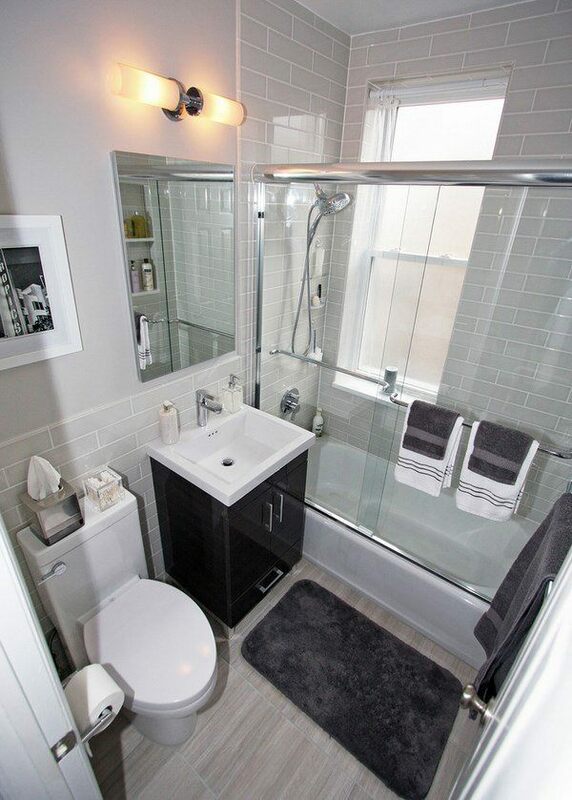 The color palette is as important as the location of the plumbing. 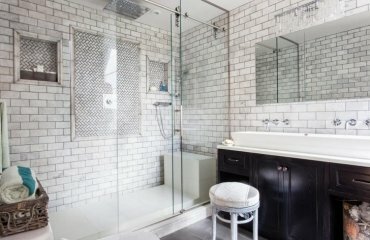 It’s no secret that in design different shades are successfully used to create a unique style and cozy atmosphere. 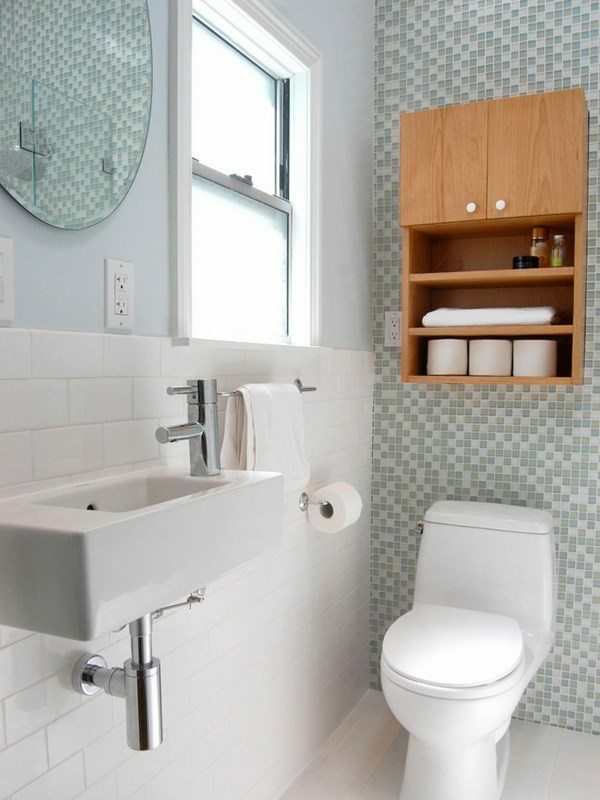 Properly selected colors can visually increase a small space, hide flaws and emphasize the advantages of a small bathroom. 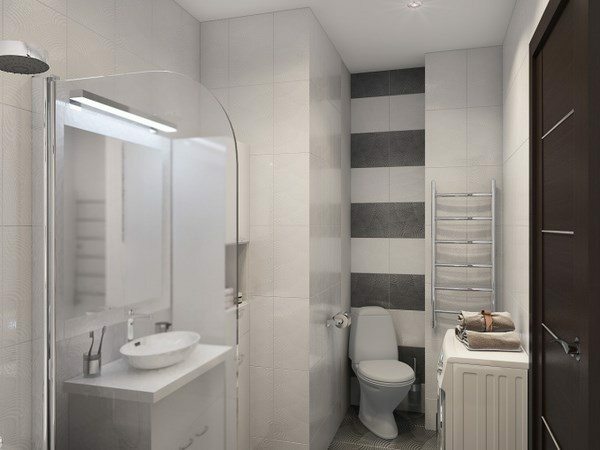 Another common way to visually increase the area is the use of mirrors. 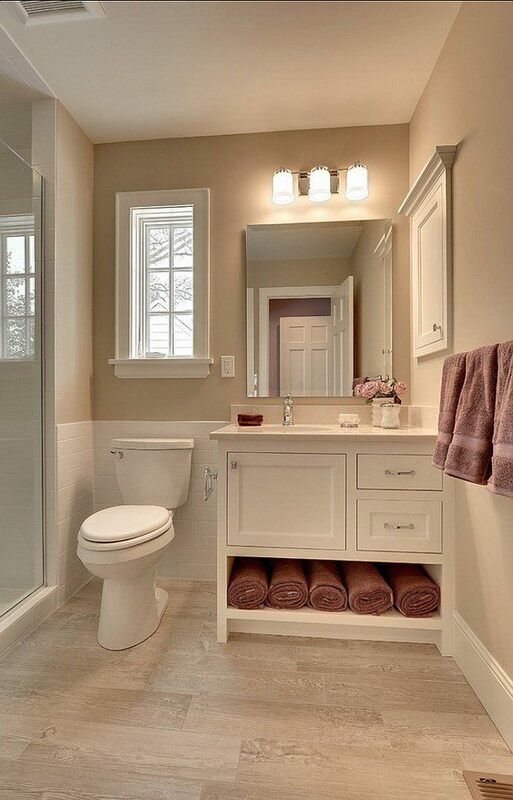 When working on small bathroom designs, mirrors can create miracles. They combine practical and aesthetic functions. They reflect light and your space will look much larger. Make the most of walls and free space! 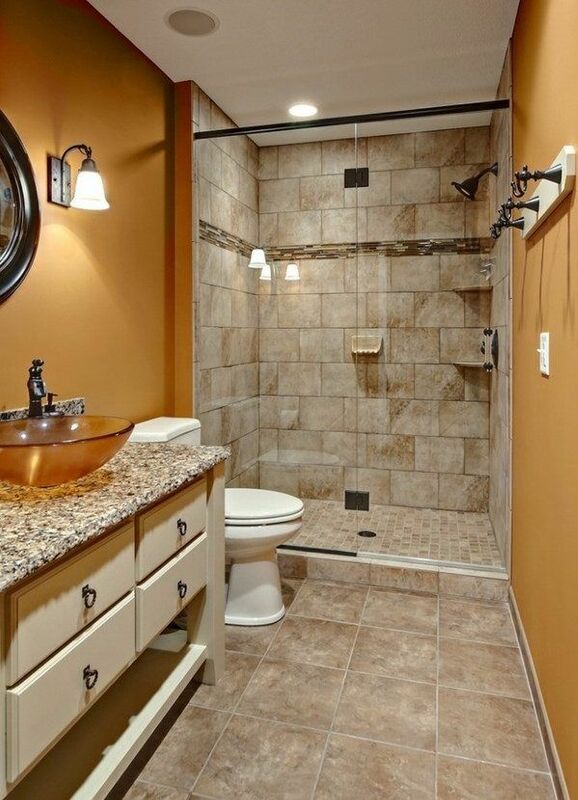 Think of the option for a wall mounted toilet. 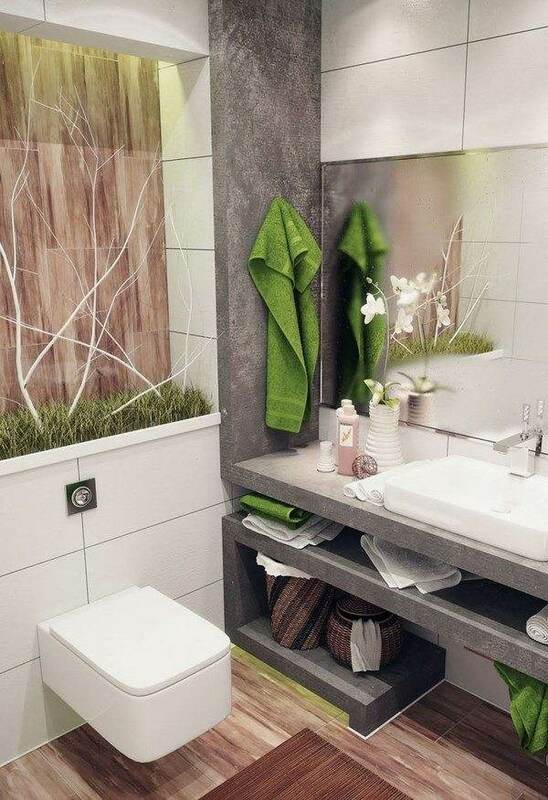 In case that is impossible, use the space above the toilet for storage. Some open shelves will be a good idea and will not make the space look cluttered. 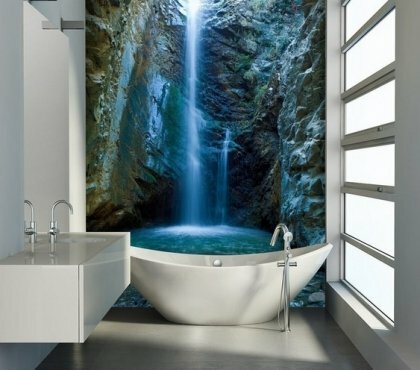 Shower or bathtub? Well, it depends on the actual space you have. 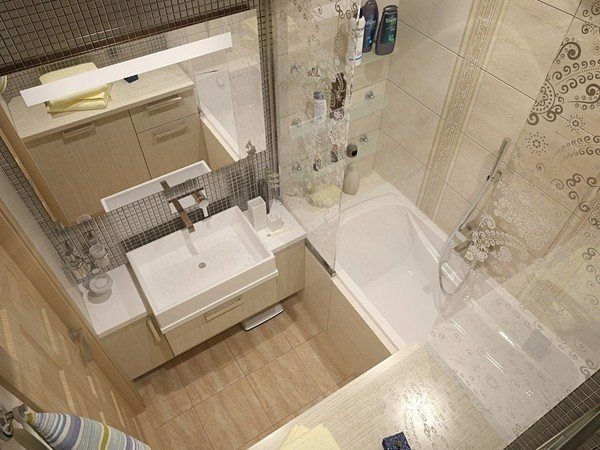 A tub takes up twice the floor space but it all comes to your personal preferences. 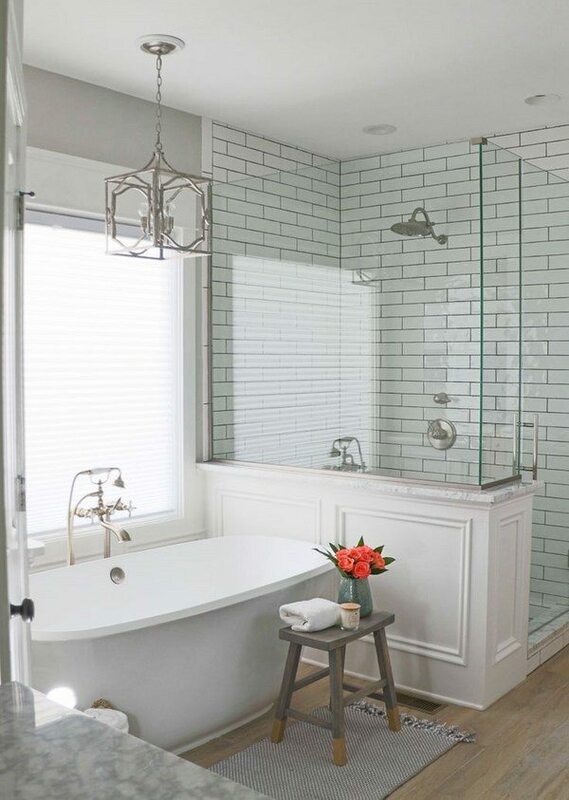 Think of a frameless glass panel for the shower as it offers the benefit to allow natural light and the bathroom looks spacious and airy. 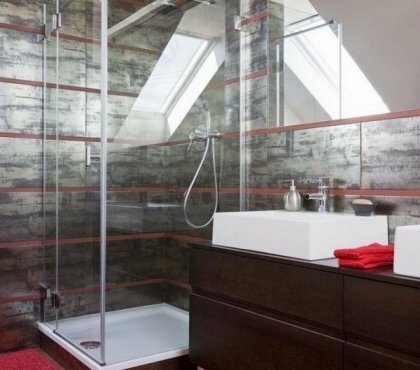 A curbless shower is another good and space saving option to consider. 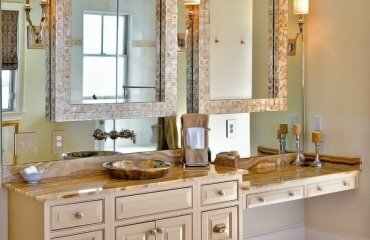 Wall mounted sinks and floating vanity cabinets are a good idea when you deal with limited space and make the bathroom look more open. 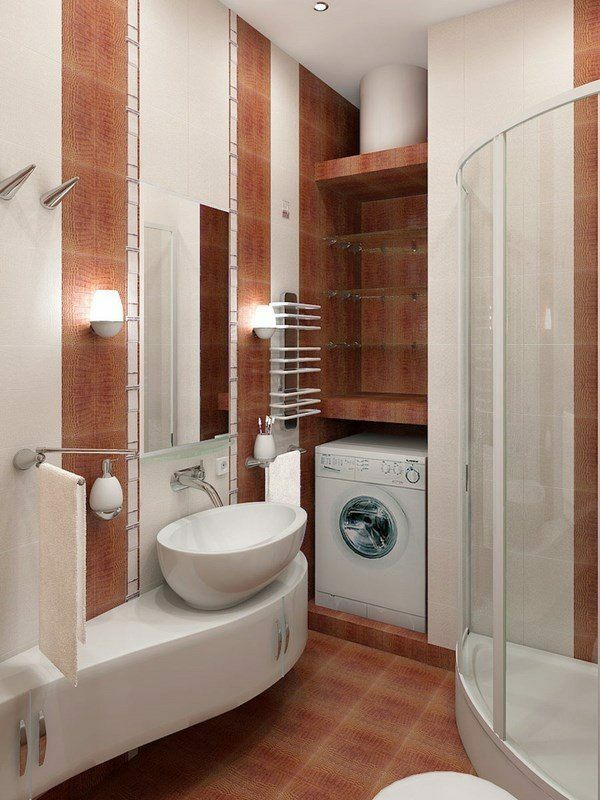 Vertical storage is another space saving idea. 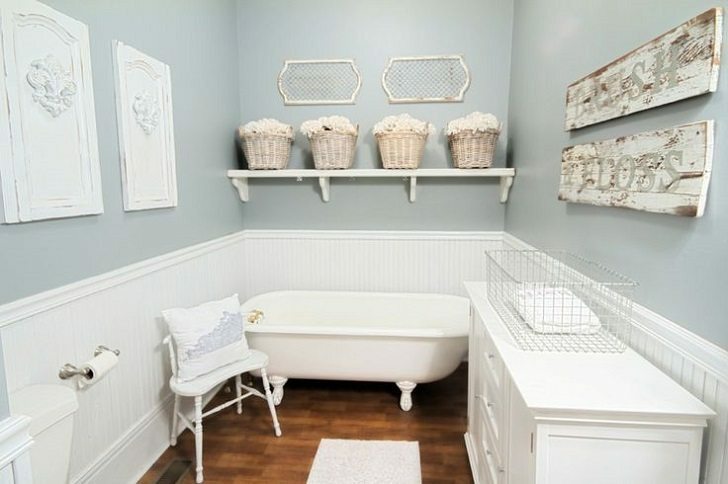 Shelves and cabinets on the walls are a good storage solution for any small space. 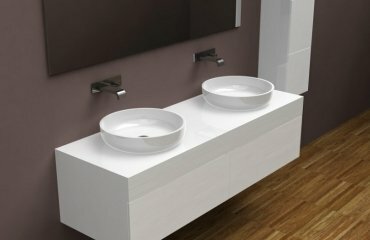 What is a vanity, how to choose a vanity style and design?